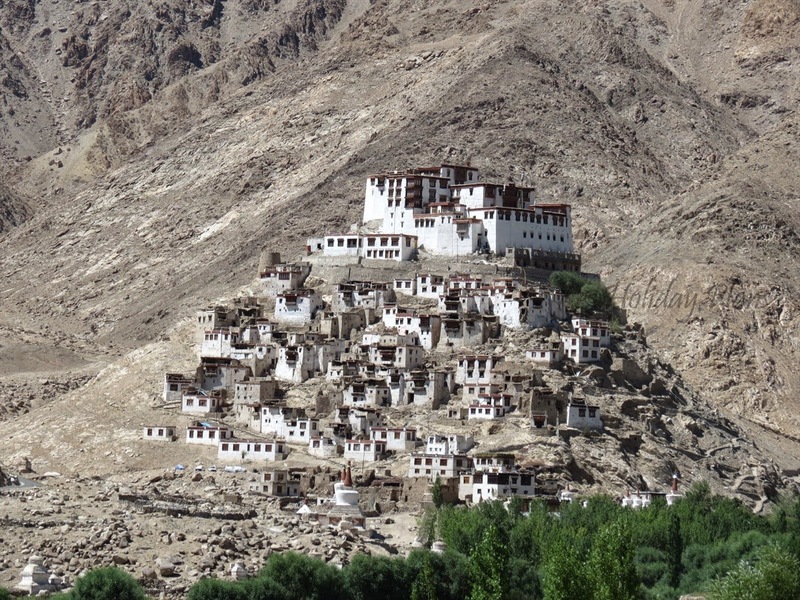 Leh is like the nucleus of all the places one might visit around; all the famous places connected from it. So one can virtually start with any place you like to visit. 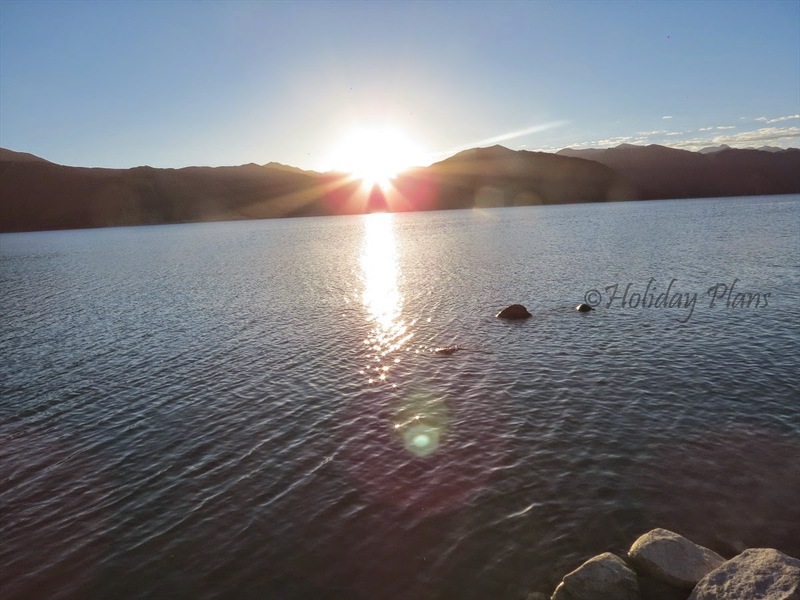 As Pangong Tso was on everyone’s list, we planned our day for the majestic Lake. 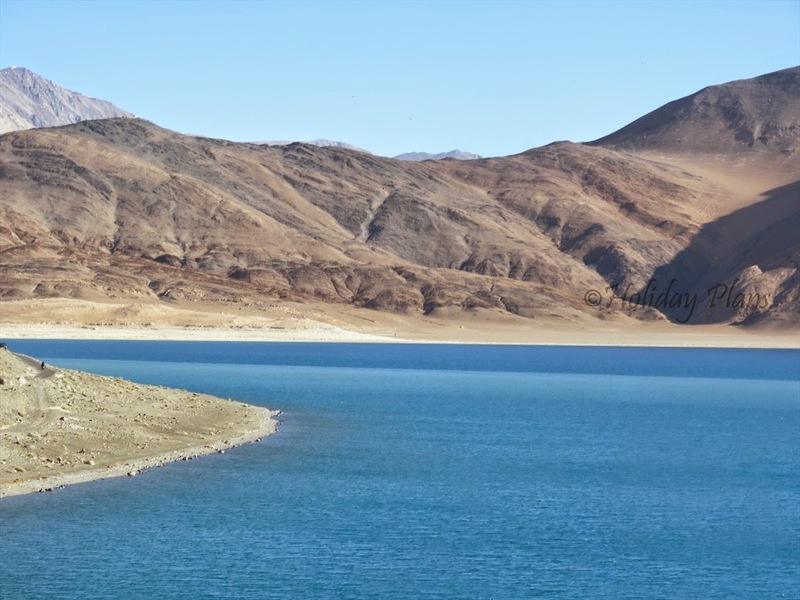 The lake is at a distance of about 160 km from Leh. One third of the lake is in INDIA and the remaining two thirds is in Tibet (controlled by China). 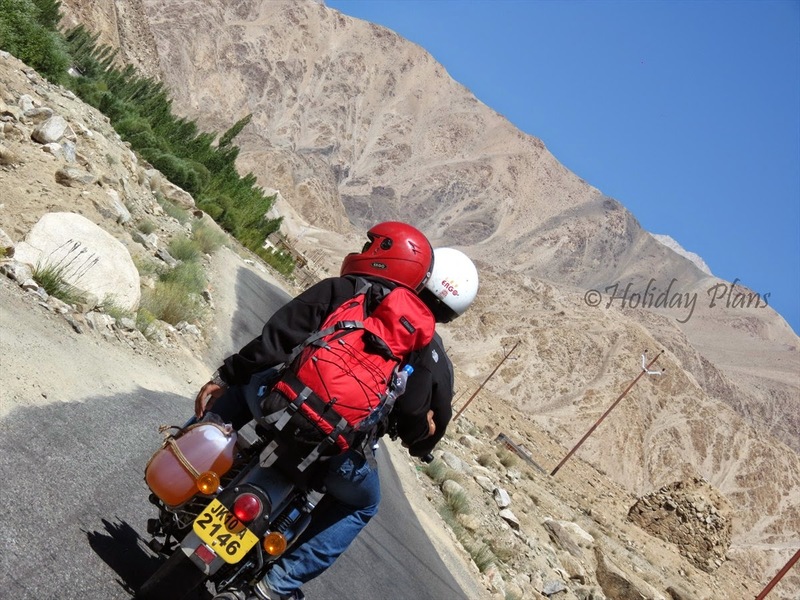 At high altitudes, it is not recommended to travel more than 150 km via bike. 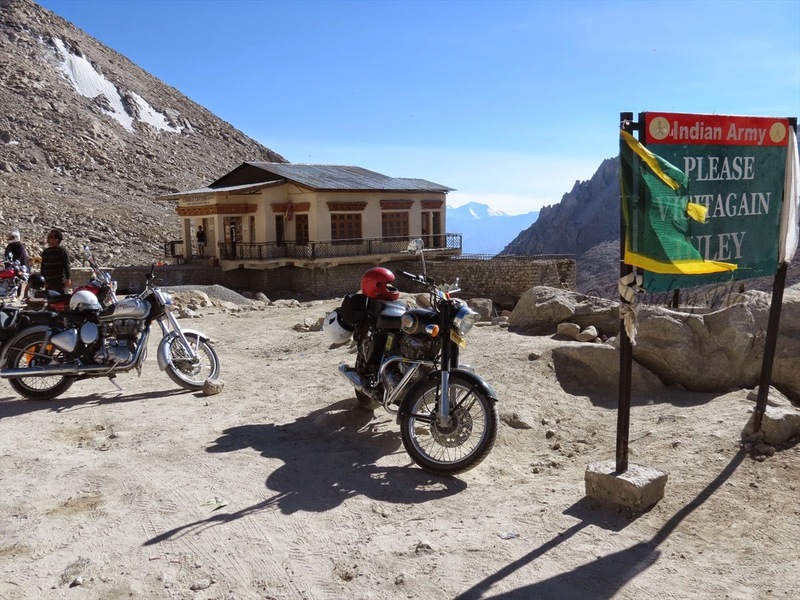 So, it is advisable to stay for a night especially if you are riding a bike. 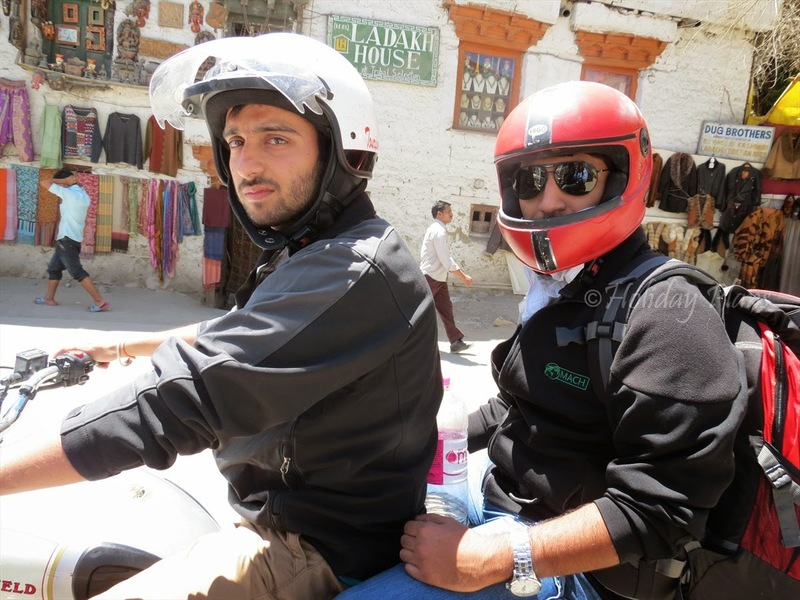 After pumping enough petrol in our Royal Enfields along with one “extra” 5 litre petrol-can per bike, we started our journey! 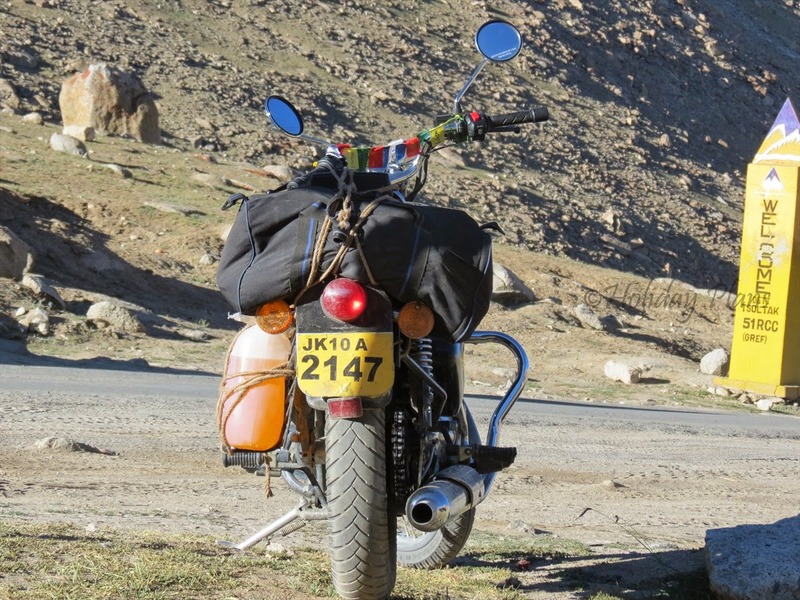 The petrol can and stuff like rope to tie your luggage onto your bike is easily available in the market at nominal rates. 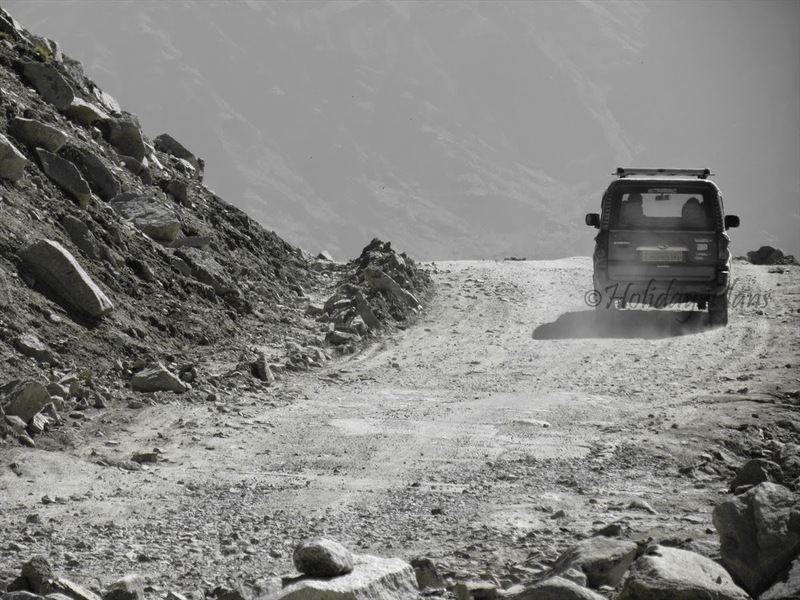 And thanks to BRO, the roads are perfect (not “bro” but Border Roads Organisation). 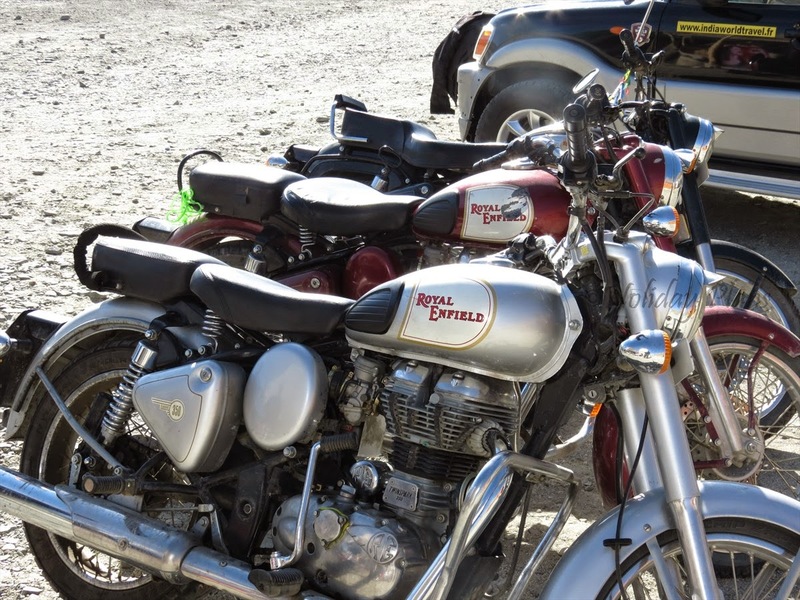 Carry the permits to Pangong and Xerox copies of your identity card. 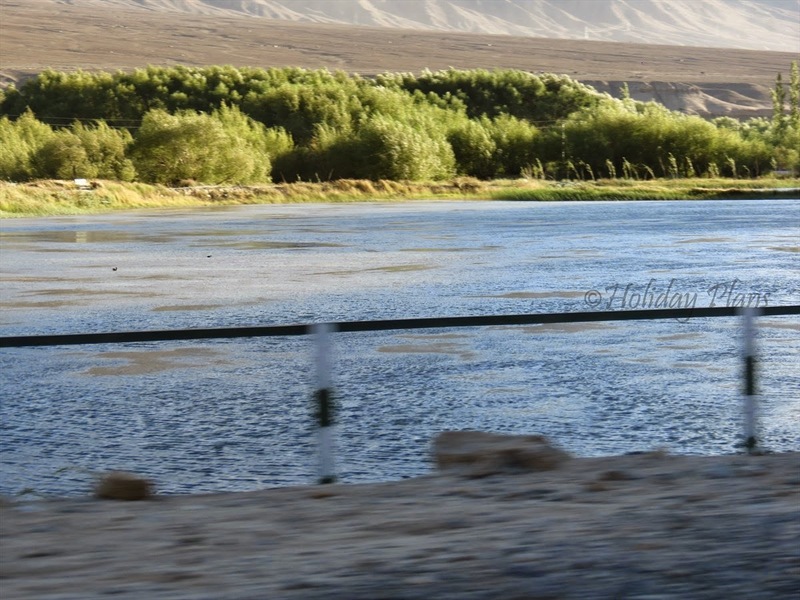 Riding alongside Indus River you will reach your first diversion at Karu, which is about 35 km from Leh. 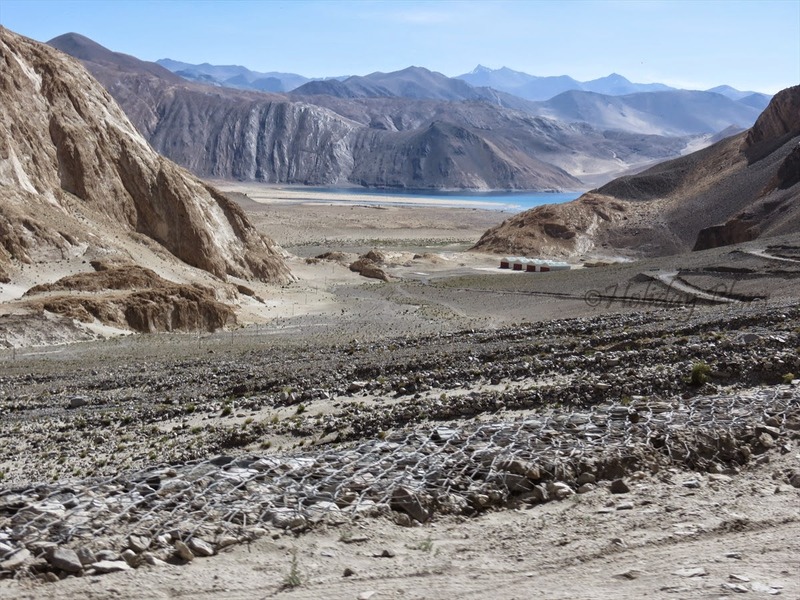 From Karu, the road on the left goes to Pangong Tso and the right one to Tso Morriri. 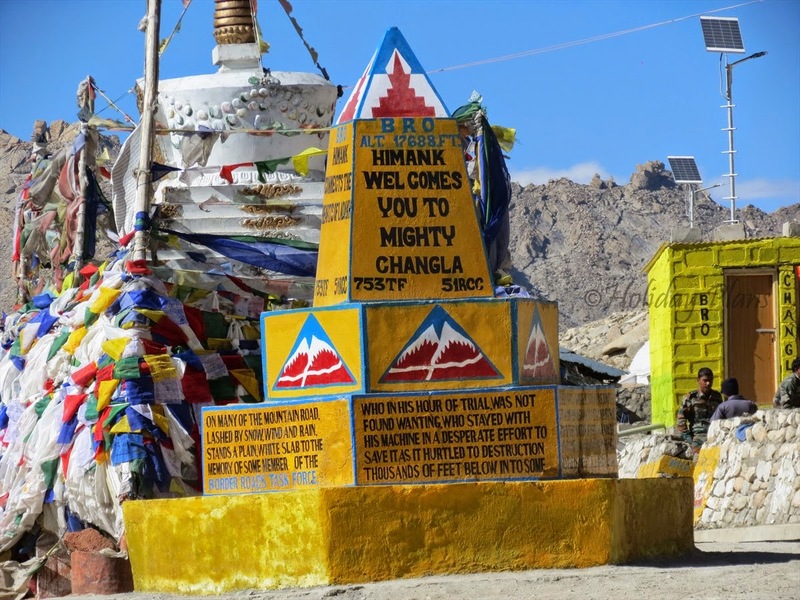 You will also cross Thiksey and Shey Gompa. Whenever you see fellow tourists coming back or going for a journey, always great them with (thumbs-up) and it feels really good doing that. And then the DUG DUG DUG DUGGGGG….continued. Caution: Cover your hands and face properly to protect from sunrays and thoroughly apply a good sunscreen lotion on all your exposed parts. Although the journey is full of adventures but for all those of you who have Keeda of “Yaar kuch alag karte hai” like we do, keep looking for shortcuts in your journey. If you are cognizant enough, you can find shortcuts everywhere, be it mountains or plains. Occasionally take breaks to avoid getting tired soon and take in lots of water and other fluids. One BRO sign board read “THAT IS DEEP, DON’T GO SLEEP” and you know what to do and what not to do. Once you are at a reasonable altitude, the panorama view of snow covered Himalayan peaks becomes clearer in view and more beautiful. 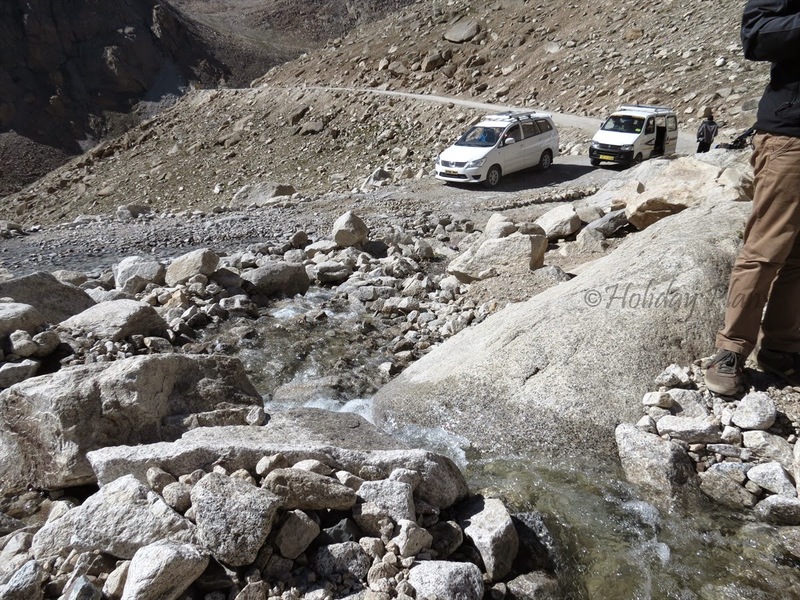 There is a rough stretch of about 20-30 kms which I am sure most of the people enjoy. But one needs to be very careful. One of our bikes slightly lost the balance and the petrol can fell down. 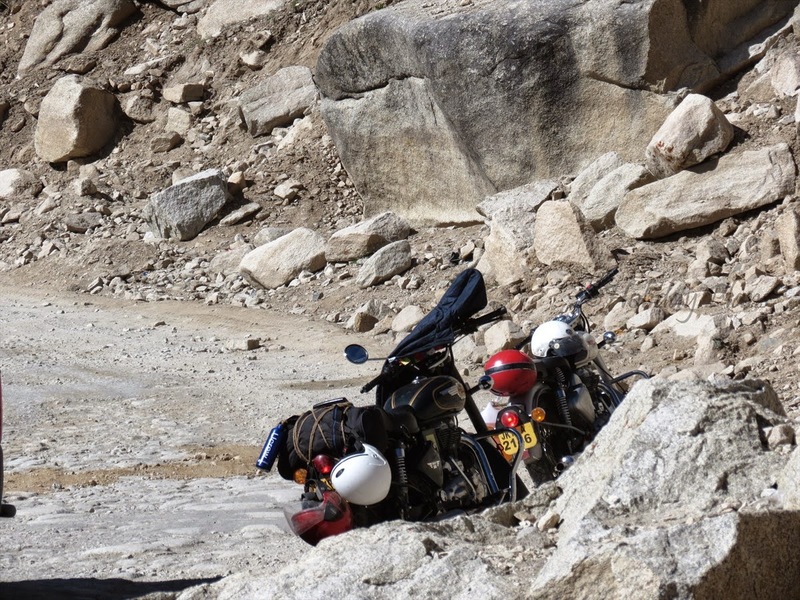 You don’t have any petrol pumps in the journey to Pangong Lake. During the journey, one will encounter a beautiful melting glacier with ice chilled water. You can take rest and fill up you water bottles. This reminds of Bear Grylls of Man vs Wild show, doesn’t it ;-)? You can also cool down the engine of your bike by pouring some water. The temperature of the place will drop as you gain height. Keep yourselves covered with proper clothing and always keep your helmet with you (Until and unless you are Iron Man). 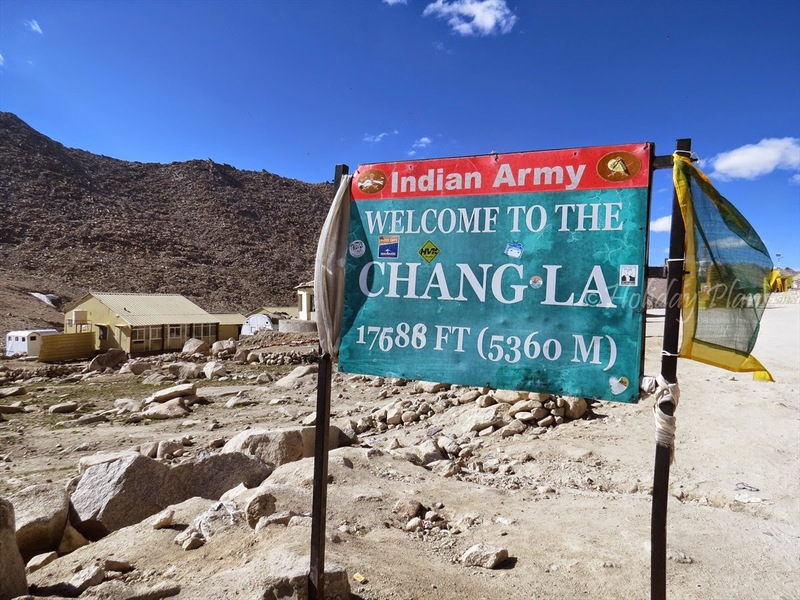 As one moves on, one will see a sign board with welcome sign “WELCOME TO CHANG LA (17699 FT, 5360 M)” giving you enough joy to take down all your fatigue. 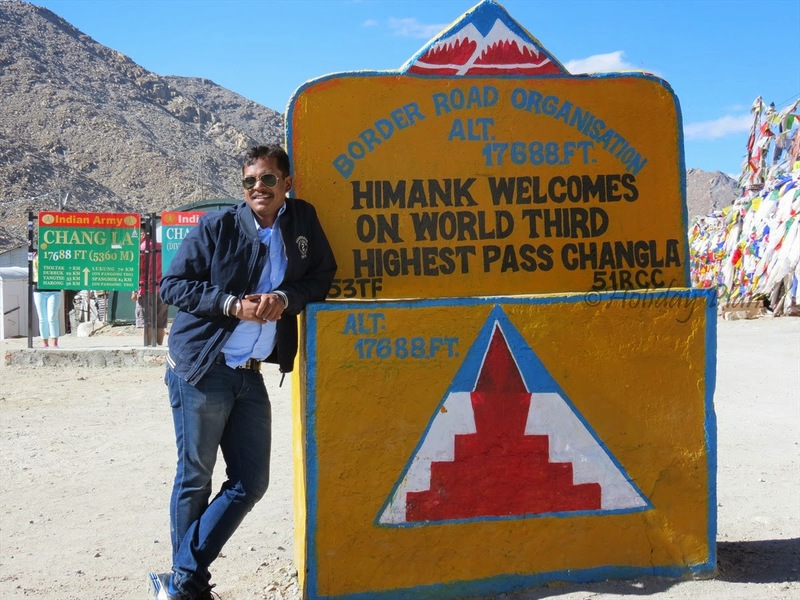 Chang La is the world’s third highest motorable road. “Mountains are pleasure, if you drive with leisure”. Burn your memory card with enough digital memories and fill up your stomach with some fluids and chocolates. And the feeeellll of eating Maggi at almost 18000 ft is like out-of-the-world. 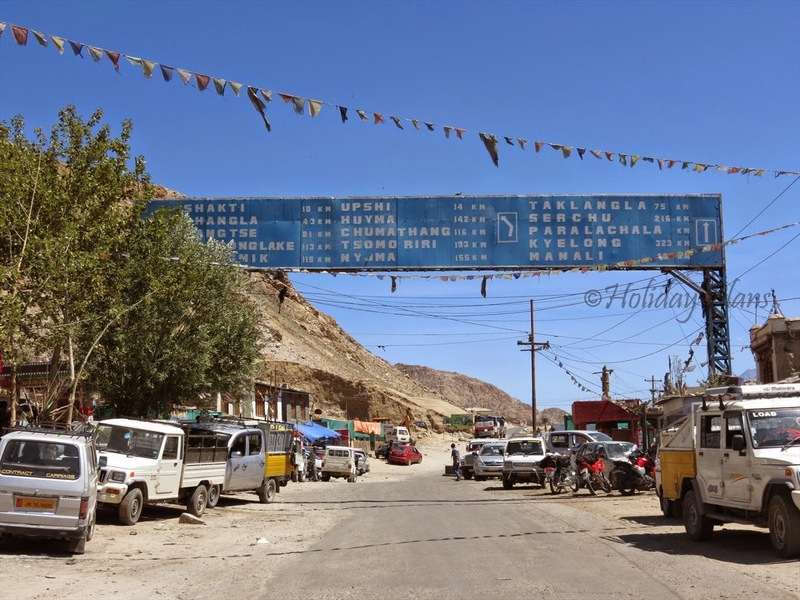 After crossing Changa La, one will land up in ChangThang region. On your way keep your eyes and ear open because you can get to see a variety of fauna around in this part of the world. 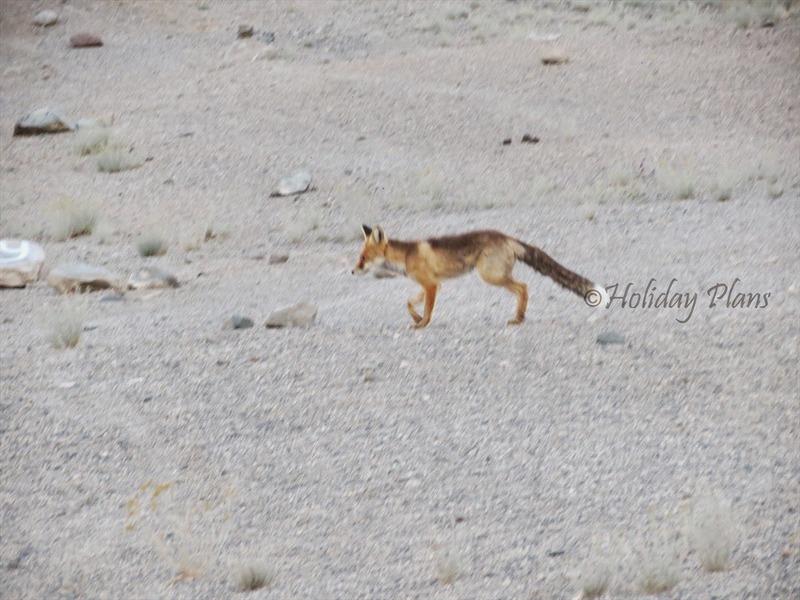 We saw a fox running in a huge plain ground. 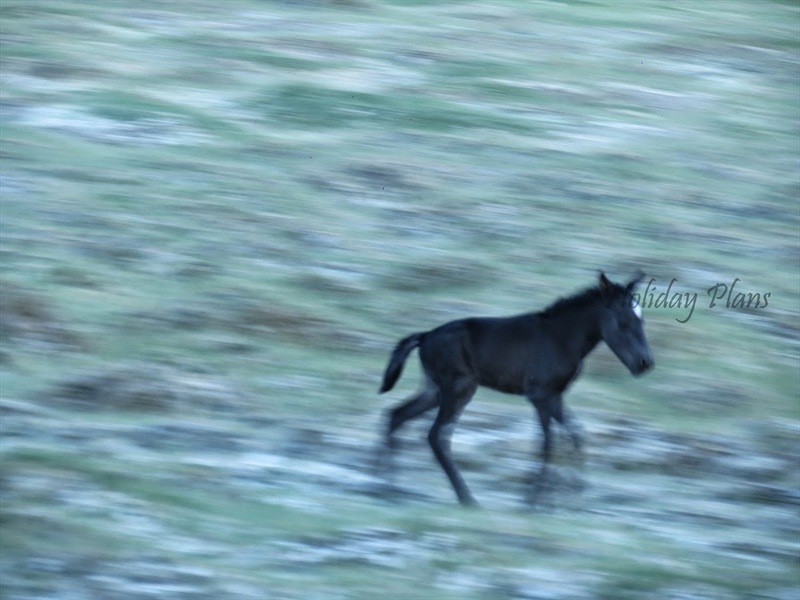 We also saw some horses running alongside in the huge green fields. 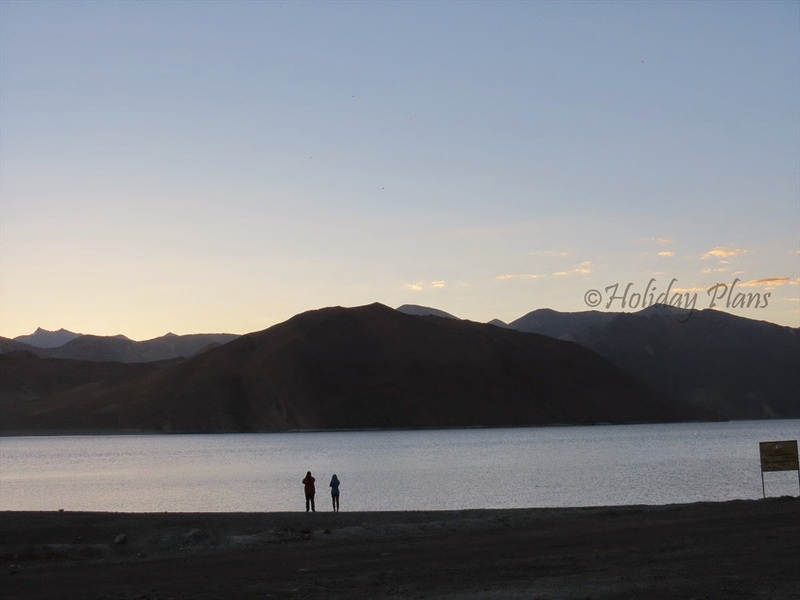 The sun was setting in and we had to increase our pace to reach Pangong Lake before it’s too dark. Speed breakers, water flowing on roads, diverging roads for few spots will be common sights in the journey. With huge mountains changing colours with every eye blink it was impossible to resist the urge to stop and click some beautiful pictures. 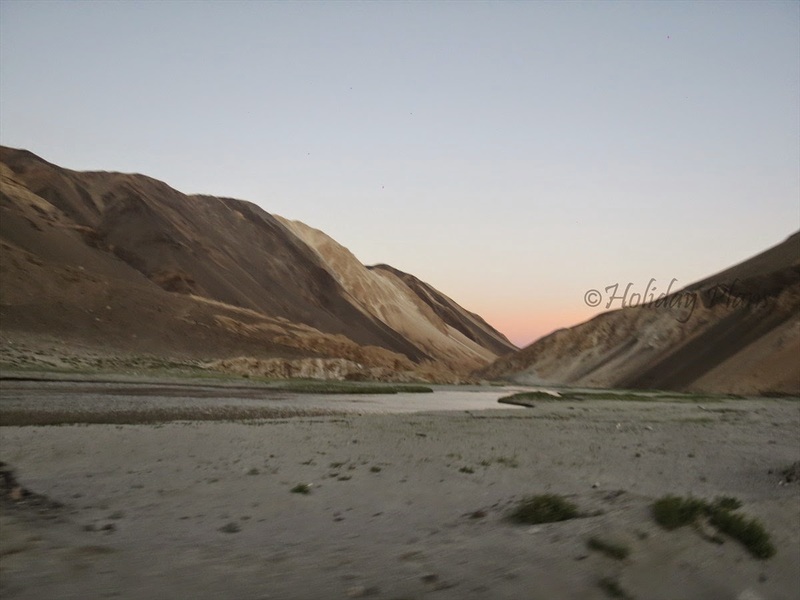 With frequent stops and enough adventures on the way, it was already night when were almost 30-40 kms away from Pangong Tso. A stretch came in between where a huge rush of water was there which we mistakenly assumed to be a small one. As a result we have to pay the price of our miscalculations with both our socks and shoes getting washed in water. So an advice-Beware of such stretches. 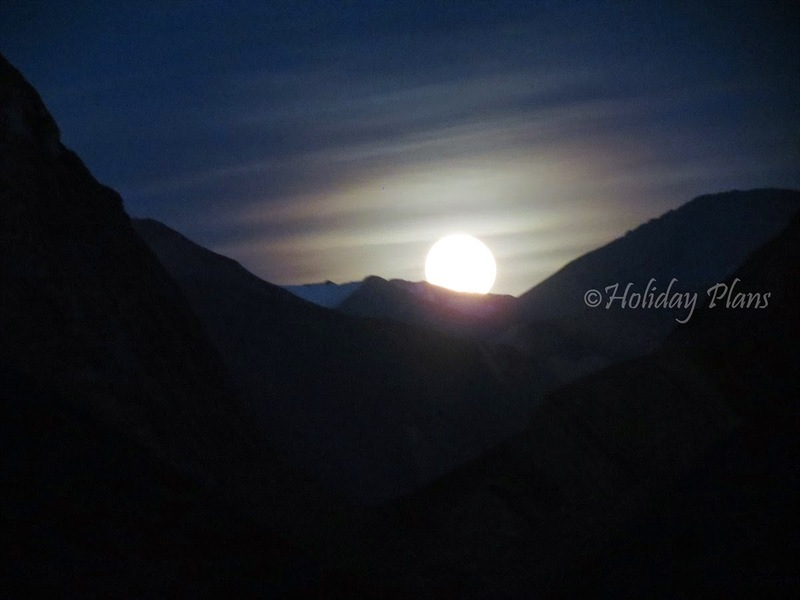 When we were about to reach Pangong Tso, we saw moon rise! 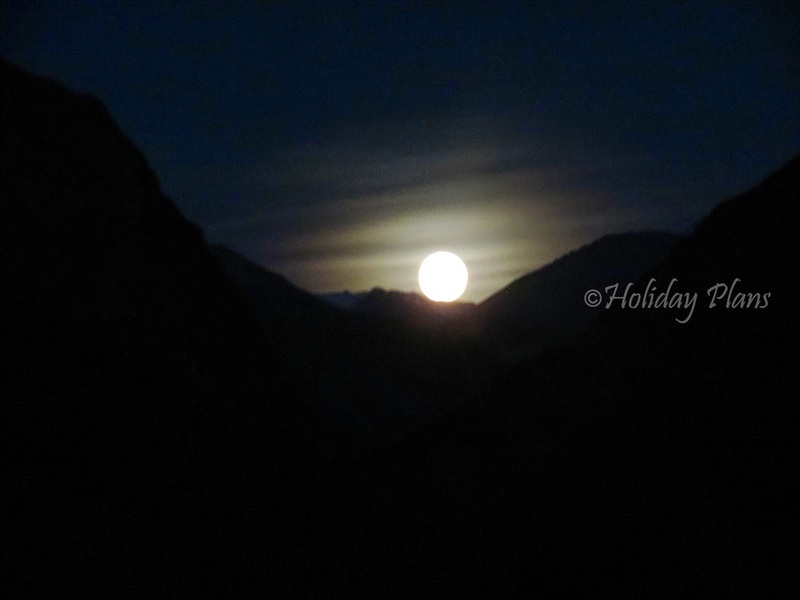 Yes you read it right, we saw moon slowly rising from the mountains and we just stopped and watched silently. Although it’s risky to drive in night there but it was worth an adventure. We reached at around 9pm. We had our dinner in 3 idiots café there. 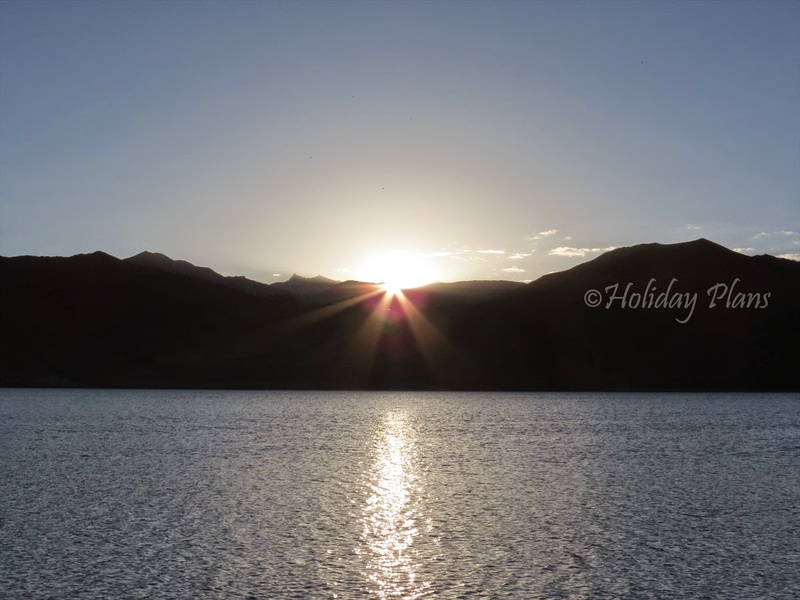 Next morning we were eager to watch sunrise from Pangong Lake. We woke up early at around 6 o’clock. With cameras in our hand, face covered with muffler and slippers in foot (socks and shoes still wet!) 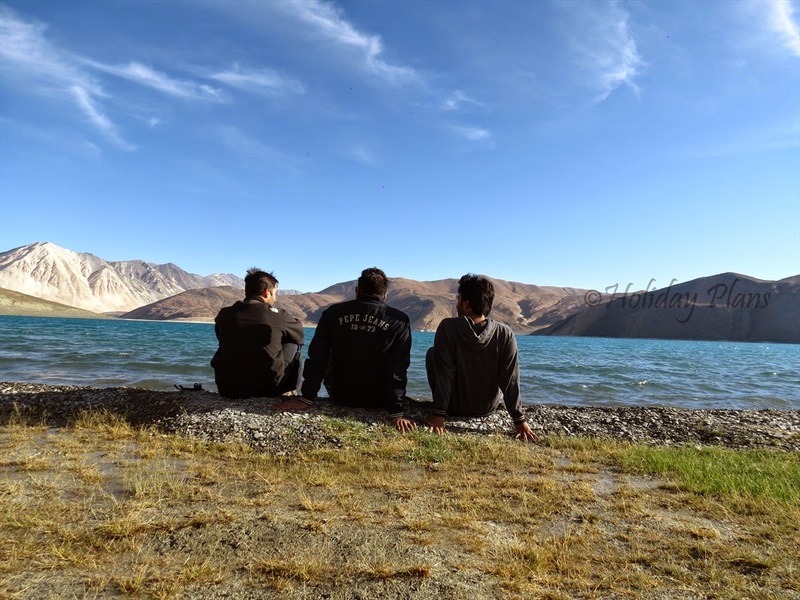 we were sitting on the banks of Pangong Lake. 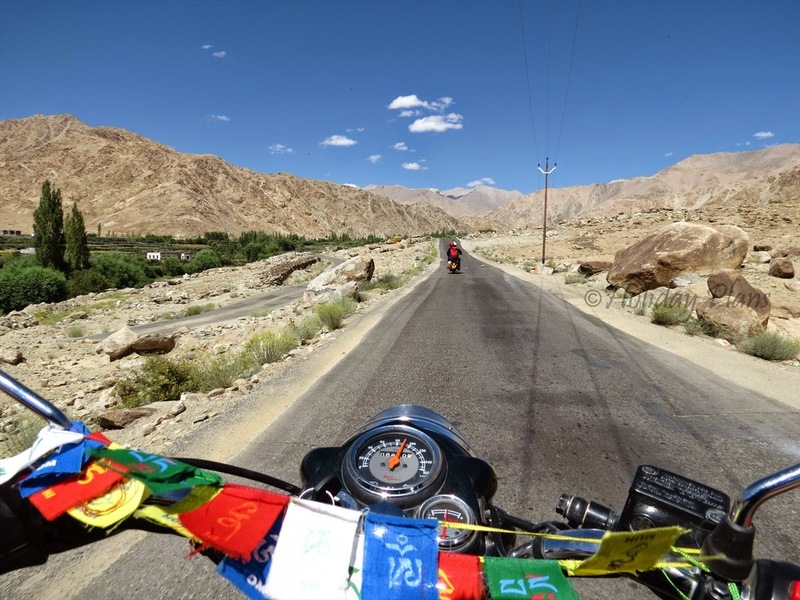 There were hundreds of prayer flags which were adding more glory to the picture. We were waiting eagerly for the sunrise. And when it happened all I could hear was “Click Click…Click”. The lake is crystal clear but the water is salty. 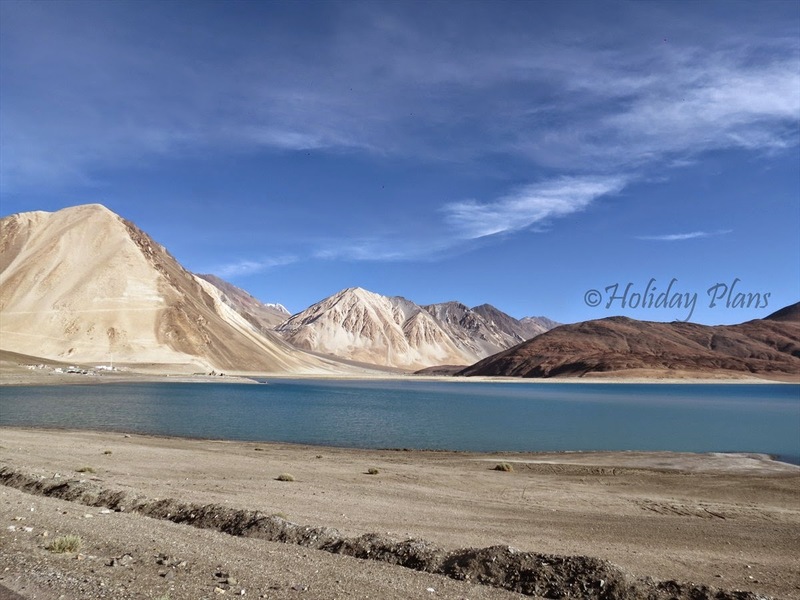 At one stage one might feel that Pangong is of only one colour, and you have been ditched. But believe me, once sun keep rising and sunlight falls on crystal clear water, the sight of 7 different blue shades of water with a backdrop of numerous shades of dusty brown mountains will leave a lifetime impression in your heart. We even took our bikes and went very far away from our tents to explore more of the Blue lake in the desert. You can’t go very far off as there are sign boards of “Trespassers will be prosecuted beyond this point”. You can do adventure at your own risk. 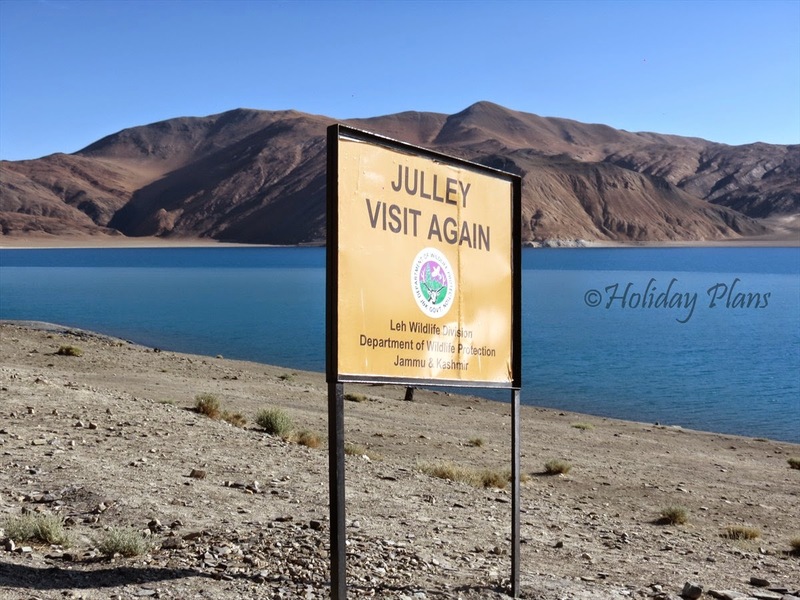 You will also see boards which read “You are in ChangThang Wildlife Sanctuary”. 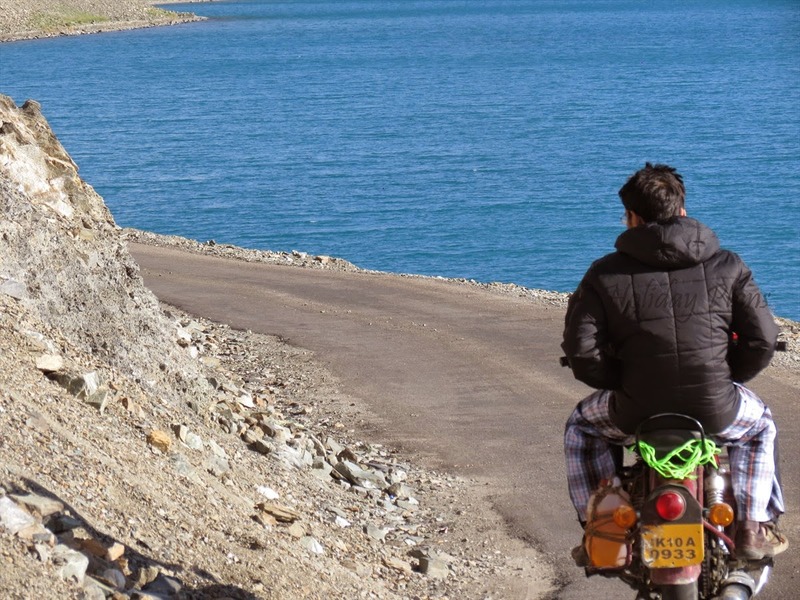 Spangmik village is nearby Pangong Lake (6-7 kms). 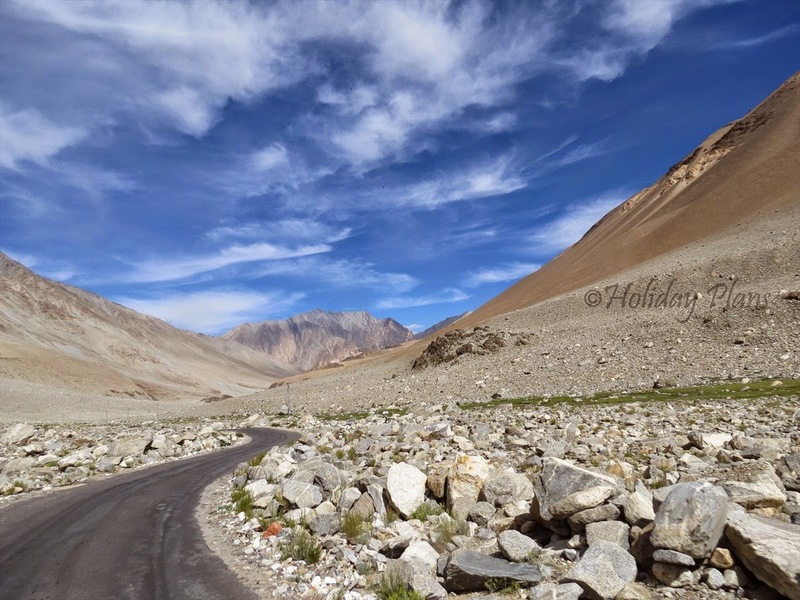 After clicking hundreds of picture of the beautiful scenery, we left for our journey back to Leh. Caution: If you are taking shortcuts here, drive very slow and carefully in the mud holes in the desert. We got into a situation of “Man down! Turn back,man down!”. No, they are not Chipmunks although they resemble one. 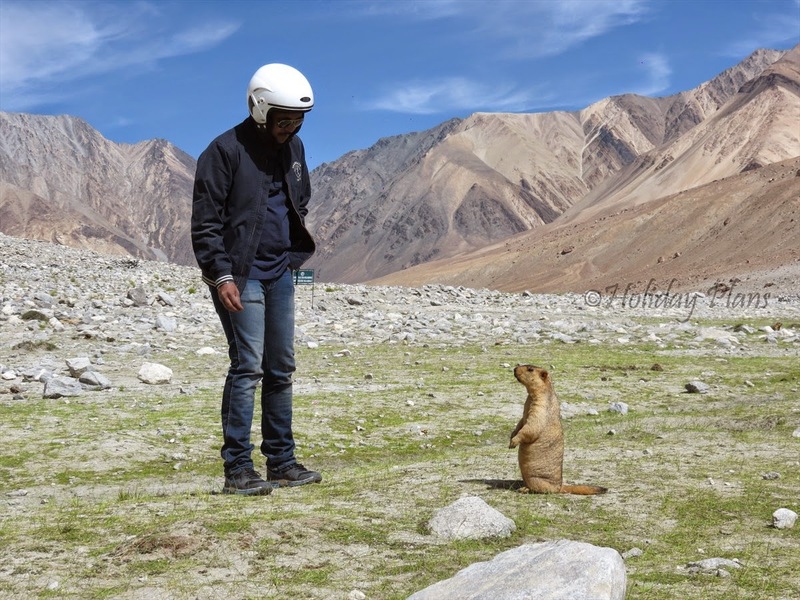 They are Himalayan Marmot. 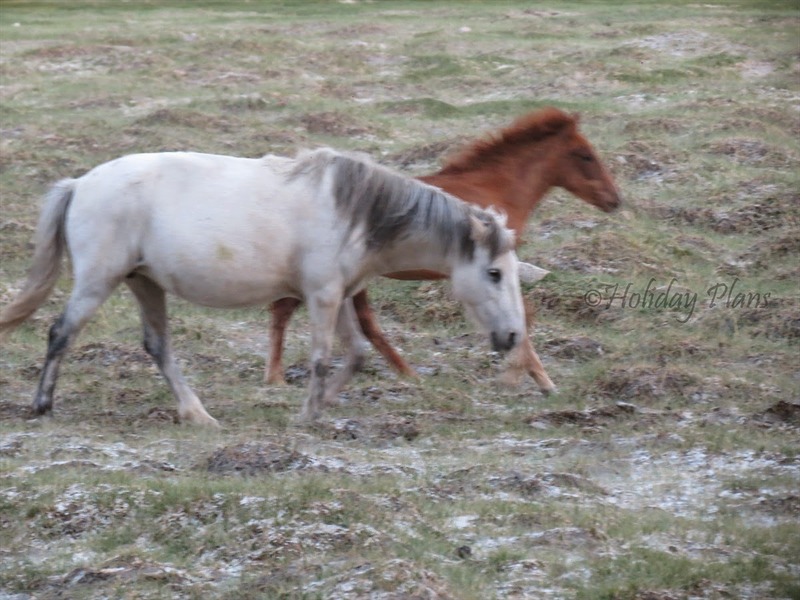 They are very friendly in nature and they will not harm you. If you have something to eat, you can feed them with your hand and they will eat quietly. It was a real fun getting clicked with them. 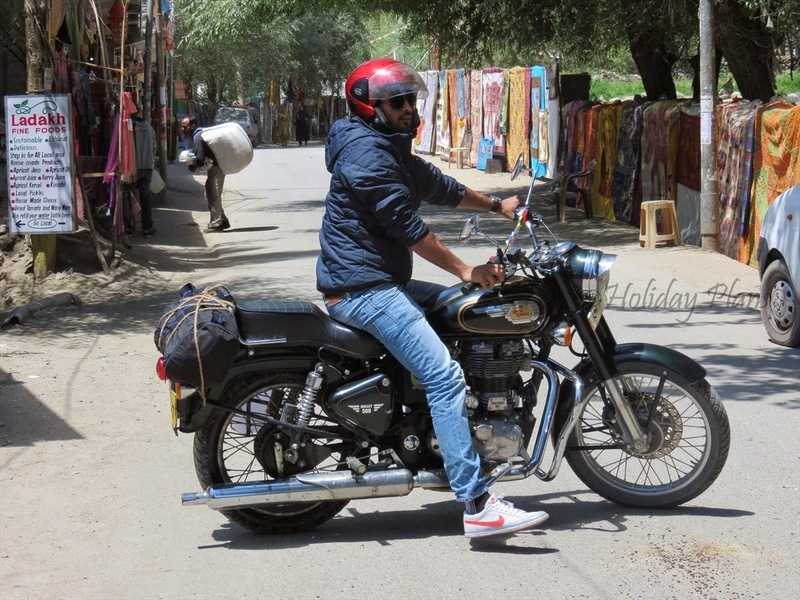 The rest of the journey was full of adventurous- taking numerous shortcuts on the way with one of them landing our bike very near to Zingral Army base camp, bike getting punctured 10 kms before Karu, the petrol playing hide and seek with us. 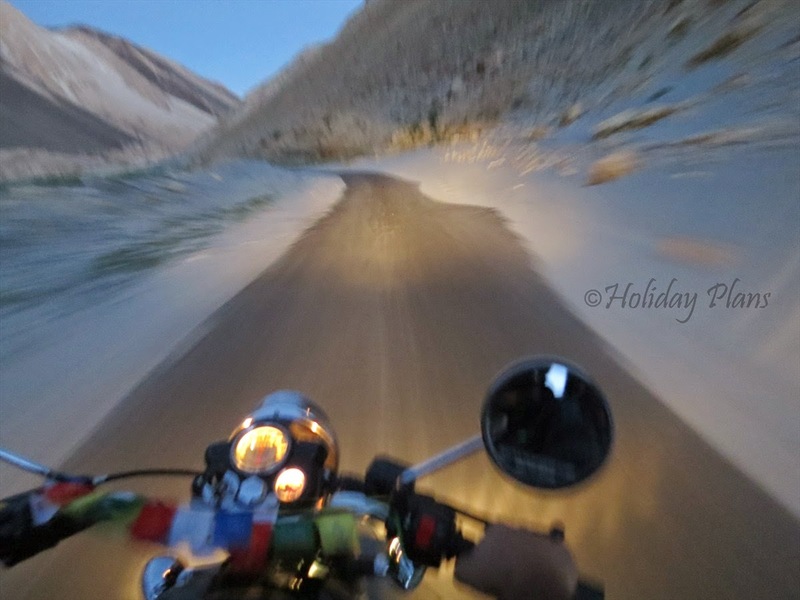 With all the fun, adventure, trouble, we finally reached back to Leh in late afternoon. And our hands, face were literally roasted in sun, spines ready to move out and legs and buttocks hurting like anything. 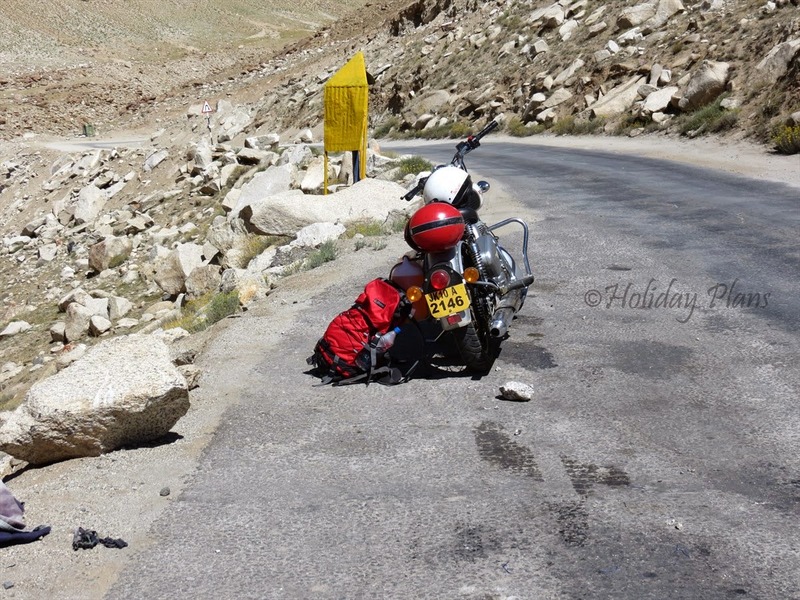 Well that is unavoidable, but the picture of pain is minuscule in front of the fun, adventure and the journey we had to Pangong Tso. Caution: Carry all the essential spare parts. It might be helpful to you or someone in the journey. 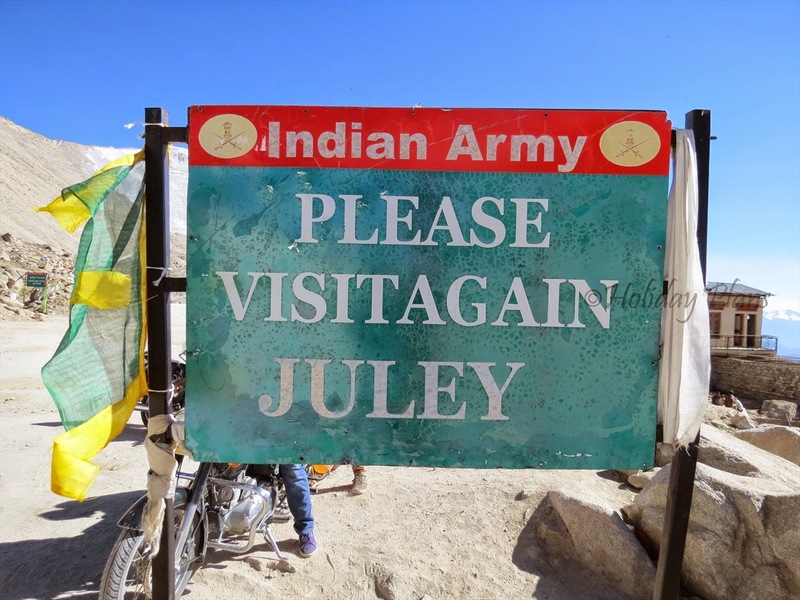 Our next THE ADVENTUROUS journey will be to NUBRA VALLEY. Stay connected for next article. Thanks for reading and if you are still there with me, check out more exclusive pics of the blue desert beauty in the Gallery section. Readers please share your feedback in the comment section below. Thanks. To read the next article click here. 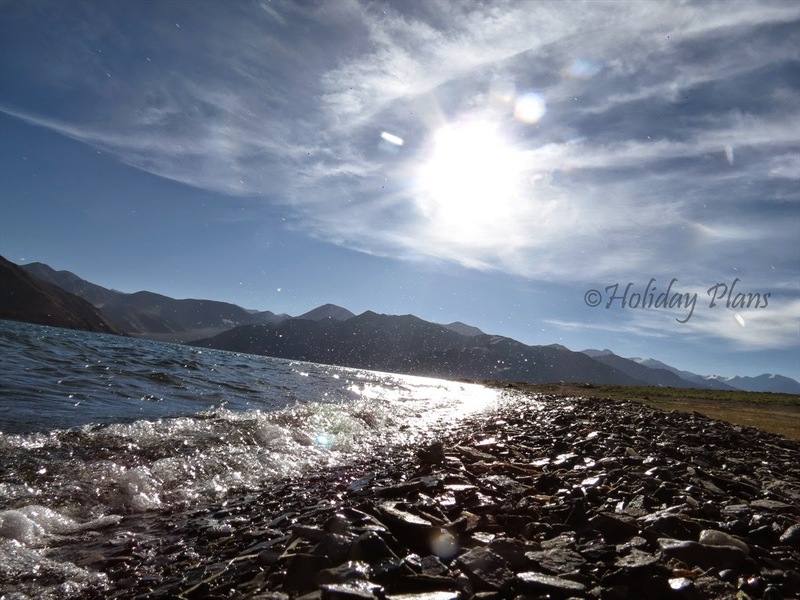 To book a customised tour to Pangong Lake (Leh Ladakh), feel free to get in touch with us. Shanti ki Anubhuti hoti h yaha. Coz u have chosen one of the best places to travel. Its like nature has given some extra privileges to this place. And for animal-lovers these Himalayan Marmots are a bonus. So cute that you are definitely going to be attracted by them. @Sarthak - Yes definitely a serene place it is! 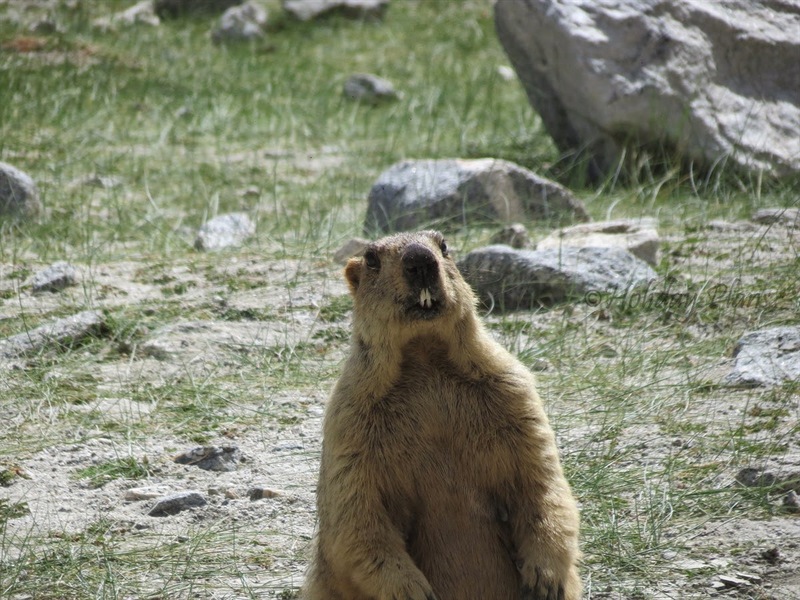 And yes those marmots were super cute! @Prateek - Yes you're right. People can even walk on the lake in winters. 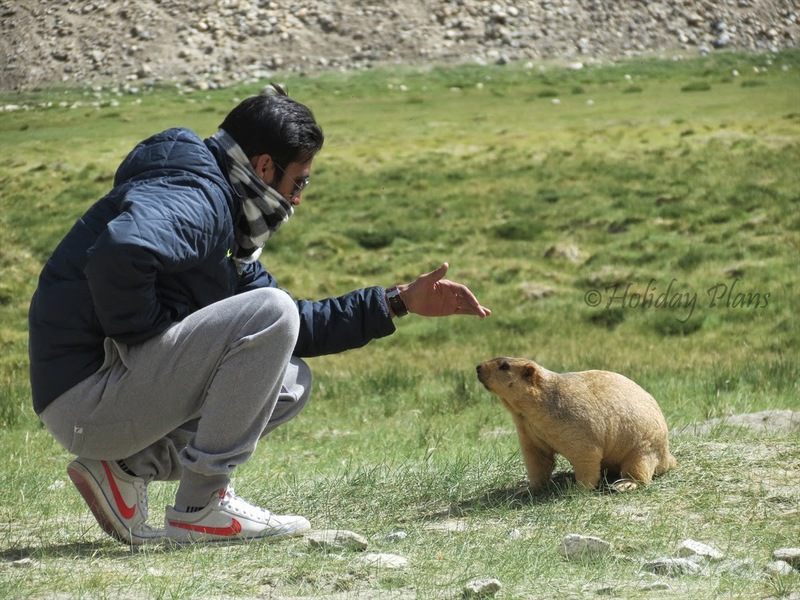 Although tourist activities are restricted in winters.